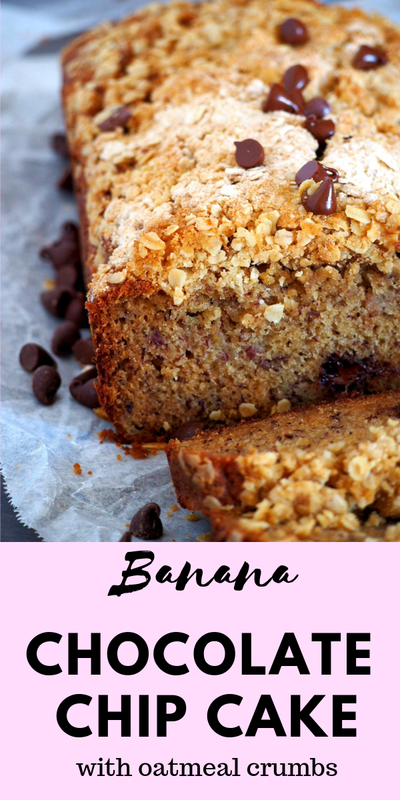 The gooey chocolate chips and the crispy crumb toppings make this banana chocolate chip cake so decadent. Chocolatey and rich, this classic dessert is so easy to make. If you should only bake once in your life, then I suggest you bake this one. I promise you won’t regret. 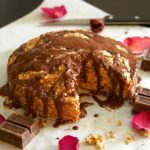 With an easy preparation and such simple ingredients, this banana chocolate chip cake will surprise you with its richness and flavor. I didn’t really care much for banana cakes before. For me, they are so plain, so simple, and not a cake to me at all. I was stubbornly firm that bananas are not meant to be in cakes. I would prefer the rich, completely frosted chocolate cakes over a banana cake each time. Then, this. 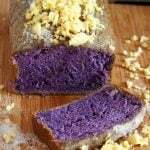 This is the banana cake that made me a convert forever. 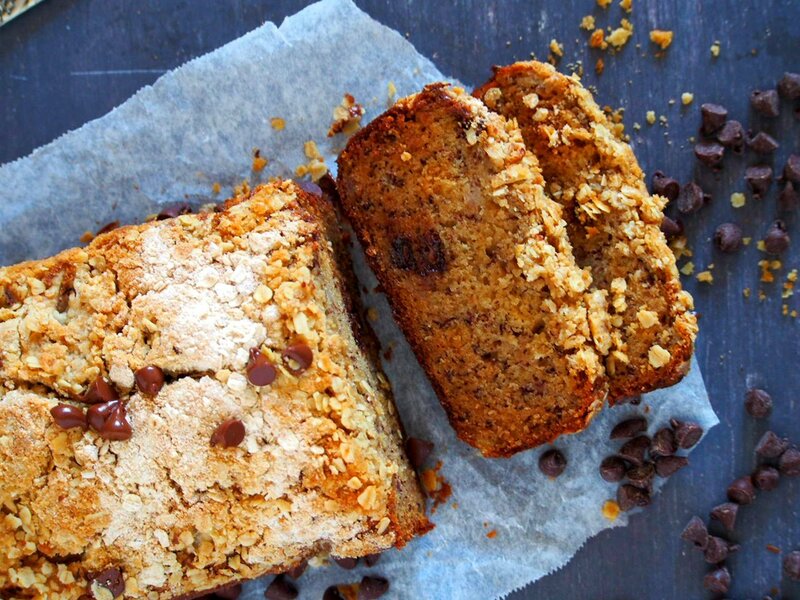 Banana cakes are far from plain. They can be ultra special, ultra-loaded and definitely not boring. This banana cake is that. And after this, banana cakes changed in my perception. Hand me whatever banana baked goodie, be it a muffin, a cake, plain or frosted, I will eat it. 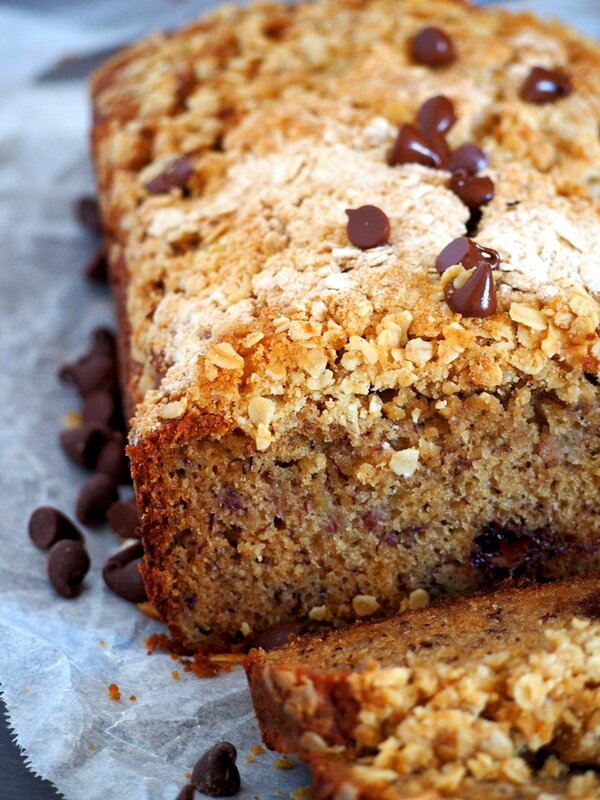 What is special about this banana chocolate chip cake is the crunchy, crumbly crumb topping. Made of brown sugar, butter, oatmeal and flour, the crumb topping is the ultimate texture. 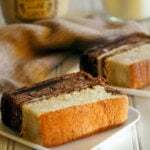 Not only do they add crunch, but they also provide sweetness and character to the delicate and moist banana cake. The chocolate chips become a bit gooey after baking. 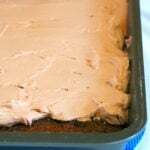 They melt into the batter, giving the cake a perfect touch of chocolate flavor! I am melting with it, too! I tell you after the first bite of this moist and chocolatey banana cake I have never looked at banana cakes the same way ever again. 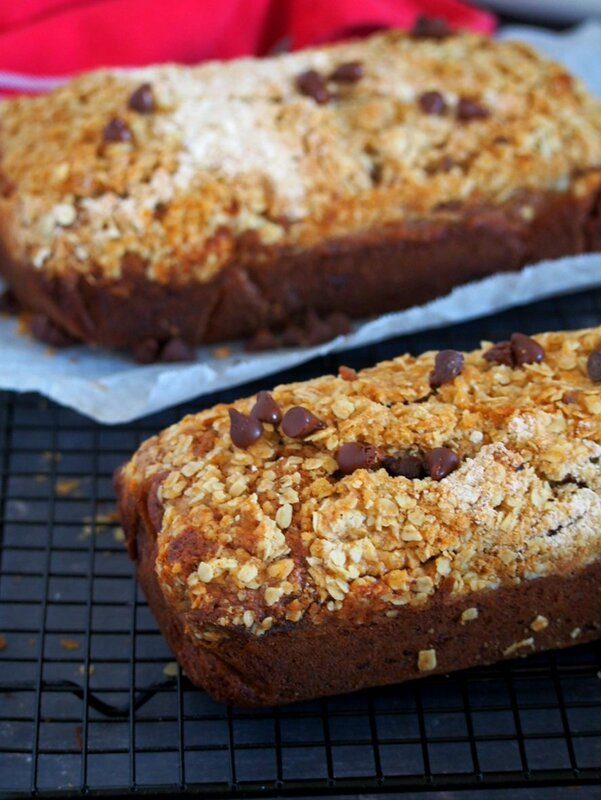 Use really ripe, actually, overripe bananas. They make such a noticeable difference compared to using bananas that are not that ripe. Check the cake as you approach the suggested baking time. 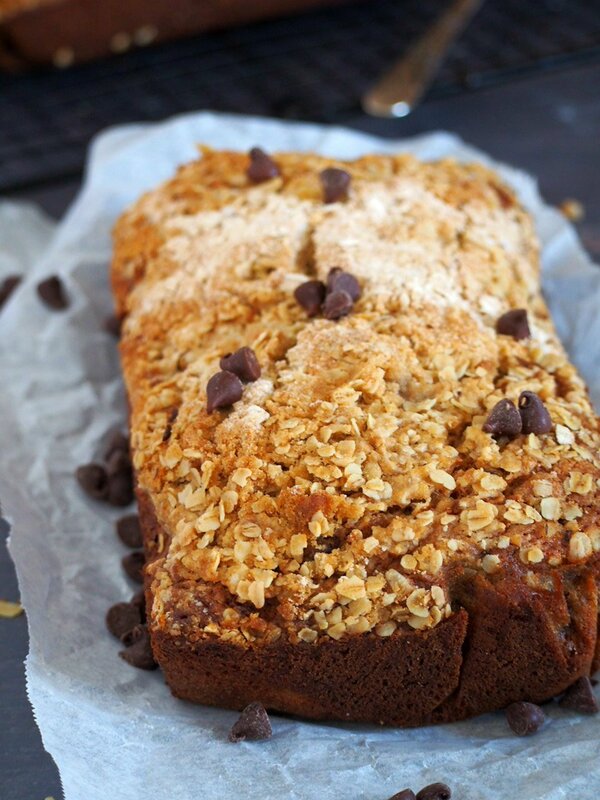 Ovens vary and over baking results in a dry and tough banana cake. A toothpick inserted at the center of the cake should come out clean but may have some bits of moist crumbs in it. You can vary the toppings by adding a handful of nuts to the crumb mixture. 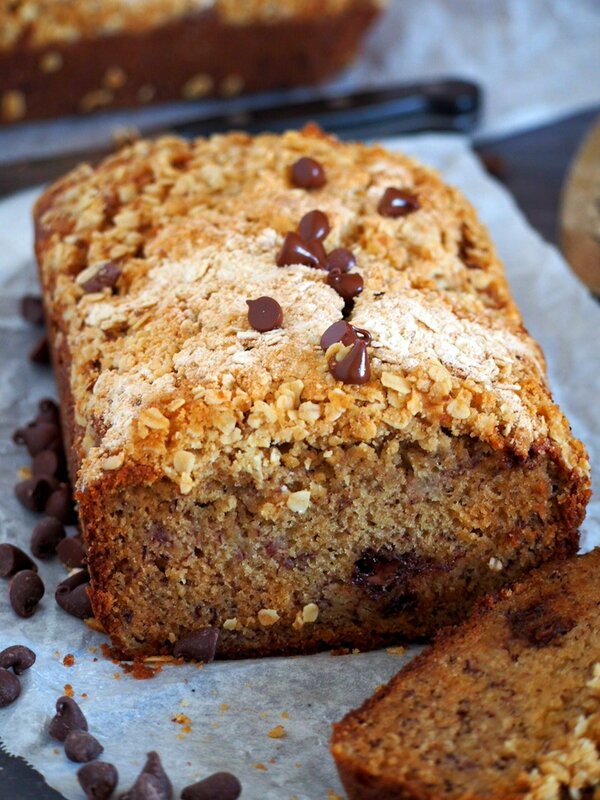 Chocolatey and rich, this banana chocolate chip cake is a delicious classic. Preheat oven to 350 degrees F. Line a 9x5 inch and 8.5 x 4.5 inch loaf pans with parchment paper. Combine the crumb topping ingredients in a bowl and set aside. In a separate bowl, combine mashed bananas, egg, canola oil and vanilla extract. Stir banana mixture into flour mixture until blended. Be careful not to over mix. Fold in chocolate chips. To make the chocolate syrup (optional): melt the chocolate in a microwave-safe bowl in the microwave for 30-40 seconds at a time. 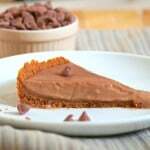 Once the chocolate is very soft but is still holding its shape, stir with a fork and add the vegetable oil. Stir until pourable. You may need to add more oil as needed. Drizzle the syrup on top of cakes. Originally published on December 12, 2017. Updated recipe and photos.